The new novel from the mega bestselling author of Under the Tuscan Sun about four American expats and strangers who become unexpected friends during one magical Italian autumnThree American women--new friends, all older single women--have taken a lease on a stone manse in Tuscany. They are escaping, reinventing, reevaluating, the fates expected of them as aging women in America. They are novices in a foreign culture, figuring out the day to day, but what they share is a gusto for life and a sturdy if indefinite determination to thrive. Released from their former lives, encouraging each other, and finding a lot of "why not" courage, each woman becomes more than she'd dreamed she'd be. Though there are serious setbacks because of cultural misunderstandings, jealous locals, and tensions from home, their trajectories throughout the novel are big affirmations of late-life possibilities.The novel is narrated by Kit Raine, an American expat living in Italy, whose current project is a biography of her friend, novelist Margaret Merrill. Her work is waylaid by the arrival of the three women in her small town, who force Kit to question what such arrivals (and departures) mean for expats like her. 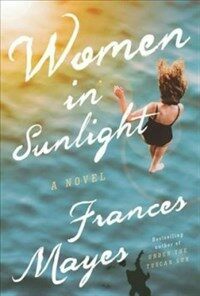 The women's life stories begin to intrigue her as their trajectories veer in unexpected directions.Readers of Under the Tuscan Sun will relish this return to Frances's trademark warmth and heart, as well as more delicious descriptions of Tuscany's food, wine and culture to savor. This novel is for anyone who dreams of an escape to Italy or a second chance at happiness.